The Cadillac XT5 is officially here and it’s chalk full of awesome features we’ve come to love. Whether it’s the hands-free tailgate, Birds-Eye overhead camera, or trick sliding and reclining rear seats there’s lots to love about the new SUV. But our favourite feature has to be the awesome Rear Camera Mirror! 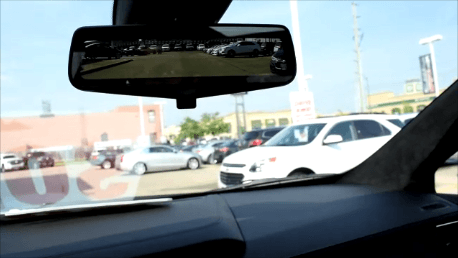 Basically, a rear view mirror with a streaming video display! Simply flip the toggle on the bottom of the rearview mirror and instantly the mirror will change to a live image of what’s behind the car! 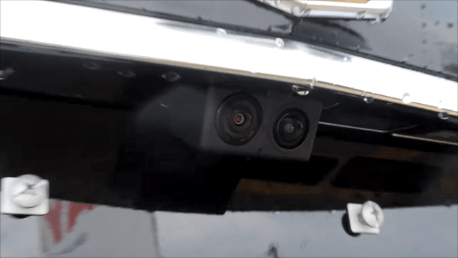 A high-definition camera mounted to the back of the vehicle sends a streaming video feed to the rear view mirror and its built-in TFT LCD display (thin-film transistor liquid crystal display). The in-mirror display features a crystal clear 1280×240-pixel display with 171-pixels per square inch, helping to enhance rear view lane width and low light situations. Plus, driver’s can also use the regular rear by simply flipping the toggle switch on the underside of the mirror. Flip forward to activate the system and backwards to disable it. Which vehicles offer Rear Camera Mirror? How do I order it? 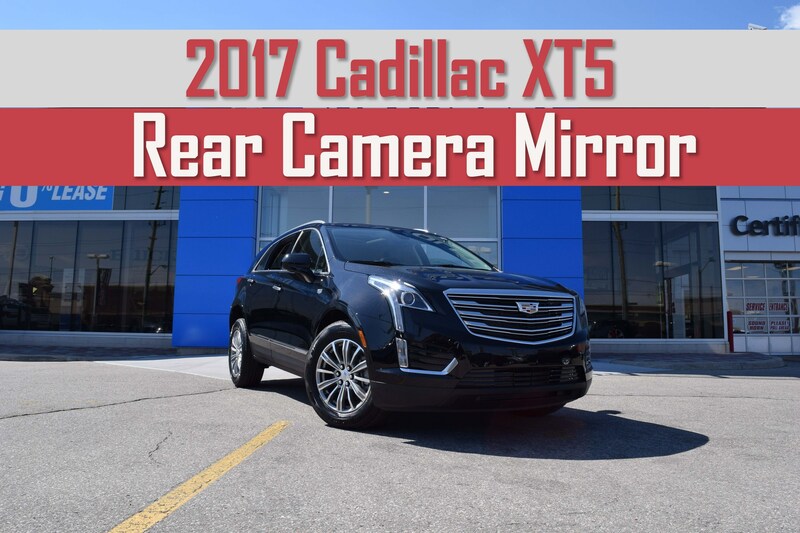 For now Rear Camera Mirror is only available on the Cadillac XT5 and the incoming Cadillac CT6 sedan. Cadillac says it has plans to offer it on future vehicles so we’re bound to see more applications of Rear Camera Mirror very soon! In the meantime, find out exactly how it works with our handy video! !